Author-environmentalist Nagesh Hegde, the 2018 Big Little Book Award winner, on writing for children and its rewards. How did you begin writing for children? I was persuaded to write for children by teachers and publishers, and, at times, compelled by my editor. A publisher friend asked me to write a story for children. He was in a great hurry, and gave me only five days. I wove a story of some animals around a lake struggling to rejuvenate the drying water body. The story was published as a small book (Kereyali Chinna, Kereye Chinna) and it won the Karnataka Sahitya Academy book prize. How do you convey the complexities of the environment, wildlife and conservation in a form lucid enough to be understood by children? Children are far more nature-loving than adults. Their empathy and emotional quotient towards birds, insects, fish and mammals are far higher than us adults. We need to discriminate between young children and adolescents, while narrating the mechanisms of nature. Obviously, it has to be in a simple story form while writing for young children. For older children (10-15 years) you can emphasise the wonders of nature, for example, termites, which have conquered the world notwithstanding the fact that they have no eyes, no ears and the soldiers in a termite mound don’t even have mouths. Adults believe that content created for children should be controlled or monitored. Do you agree? Give them a free hand if the story is constructed by children themselves. They reflect the world as they perceive it. But if a grown-up person writes or draws a picture, yes it is always good to get it vetted by someone else. It is a thumb rule for any kind of writing. In a public library, you should not impose any rule. Give them the widest choice so that they can browse according to their choice and grasping capability. But when it comes to exposing the children to a private collection, it is better to be careful. Obviously, you cannot allow free access to Khushwant Singh’s books! The common lament is that children just don’t seem as interested in books as they are in screens. Written and spoken words can extend our imagination to the third and, even, fourth dimension. A mythical demon can grow to occupy the whole sky and exude a mesmerising fragrance to subdue an army. You cannot show that in a film. At best, you freeze-dry the scenario on the basis of your own fixed imagination. Oral stories any time win over the illustrated book and a book any time wins over video films. We have nearly lost the art of storytelling and we are about to relegate the books under the idiot box. Extra effort is needed to attract children to books. Growing up, what were the kind of books that you read? Like every other young child, I was enamoured by the mythological stories. I grew up with Akbar-Birbal, Mullah Nasruddin and Tenali Raman. After the age of 12, it was mostly detective stories. And then, serious novels. And, yes, I read the Indian equivalent of Harry Potter, the Chandrakanta Santati (by Devaki Nandan Khatri), when I was 10 years old. When you began writing for children, what guidelines did you follow? Frankly, I treat every reader as a child. Because I write mostly on science and technology I have to make it as simple and lively as possible, although they are published in serious sections of newspapers and periodicals. Parents and teachers who read my narratives usually read them out to the children, because they are simple and yet interesting. How can more young writers be encouraged to write for children? There used to be this practice of writing weekly essays during my school days, and the best essay was read out to the class by the teacher. A handful of us in each class were vying to be the best writer. I guess that has made me what I am today. Unfortunately, that practice is abandoned now. In India, there are a lot more writers working in English for children now, than ever before. What is the state of Kannada literature for children? Although there are large number of writers in Kannada, I feel they are all still stuck in the Middle Ages. Most of the stories revolve around the same lion, jackal, ant, peacock and the King and the pauper. We are yet to come out of the zoo mentality. It is time we enter the world of drones, vending machines, black holes and quantum tunnels. What, as a writer for children, do you feel your greatest reward is? Once in a while, I get to know that my script is being staged in a school or a song written by me is being sung in a function. A mother calls me to tell how impressed her child is about my writing. Teachers often invite me to deliver lectures. Otherwise, there is very little reward. Children, naturally cannot recognise the authors. Children’s books fetch very little royalty. No reviews, no recognition. Publishers are mostly happy with translations rather than commissioning original work. Literary academies rarely, if ever, conduct training camps for children’s literature. 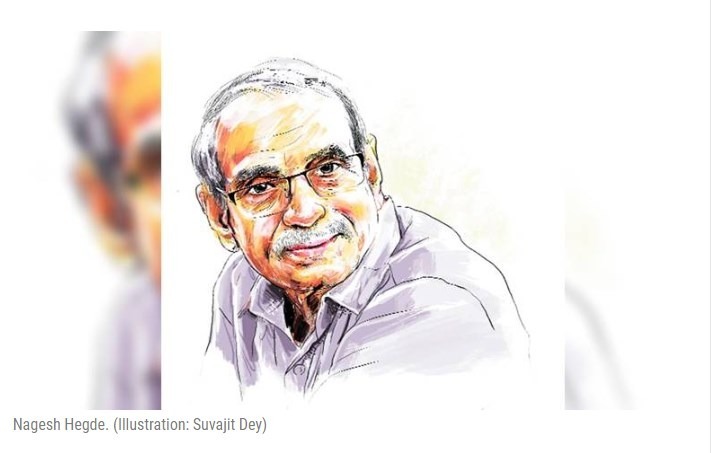 However, there are laudable attempts by Pratham Books and Parag (an initiative by Tata Trusts to support and promote children’s literature in Indian languages) to change this scenario. It takes a pretty long time to change the attitude of parents who spend lavishly on ice creams and toys but cringe when it comes to buying books for children. Why do you choose to write in Kannada? How important are translations? 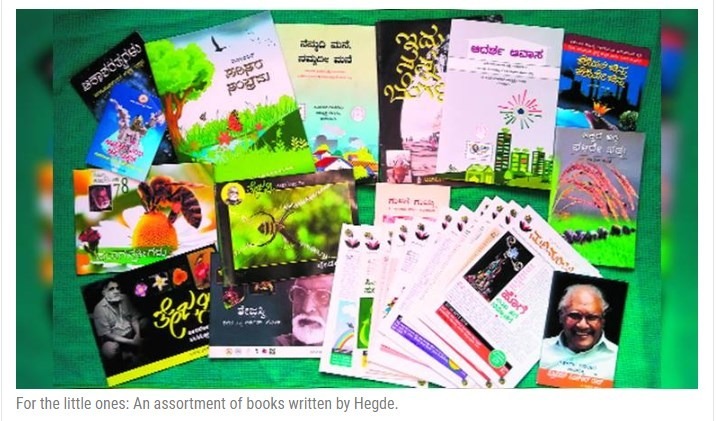 I write to expand the literary horizons for young Kannada readers. My stories are based on local geography, lifestyle and local dialects. Translations do not reflect the characters that you see around your neighbourhood. Birds, plants, insects, and other entities are specific to the local geography. One cannot translate and transplant a Bengali or Punjabi story to a child living in Dharwad or Udupi.